A song from Elmo's Love the Earth program I watched with my daughter the other day goes like this: "Once is not enough. Once is not enough. Once is not enough to use most stuff!" And Elmo is right! The episode covers simple steps that anyone can take to help the Earth to be a better and healthier place for all to live. "While looking for a bird at Bear National Park, Elmo and his friends have fun discovering things in nature! They also learn that there are some simple things they can do to keep nature beautiful and clean: putting trash where it belongs, recycling, reusing things, and saving water and power." You can see and read more about the episode at http://muppet.wikia.com/wiki/Love_the_Earth! It is an entertaining way for children to be introduced to those basic concepts. As the program shows, recycling is one of the things we can do and it is important, but the other two Rs -- reduce and reuse -- should come first. When we reduce the amount of trash we produce, we do not send as much trash to landfills. When we reuse, we do not throw things away so soon and may find different ways to use the same things over and over. When we keep an item for longer, we also reduce the amount of trash that is generated and will need to be handled somehow. As EPA states at http://www.epa.gov/epawaste/conserve/rrr/reduce.htm, the "most effective way to reduce waste is to not create it in the first place. By reducing and reusing, consumers and industry can save natural resources and reduce waste management costs. Unfortunately, the amount of waste generated in the United States has been increasing. Between 1960 and 2009 the amount of waste each person creates increased from 2.7 to 4.3 pounds per day. This results in about 243 million tons of waste generated in the US in 2009. 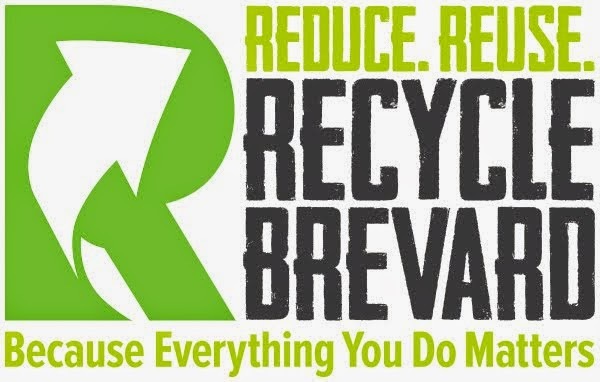 Waste prevention, or 'source reduction,' is the strategy behind reducing and reusing waste. By designing, manufacturing, purchasing, or using materials in ways that reduce the amount or the toxicity of trash created, less waste is generated and fewer natural resources are used. [Reusing] is often part of the waste prevention strategy, stopping waste at the source due to preventing or delaying a material’s entry in the waste collection and disposal system." So, reduce and reuse because we do love our Earth and once is not enough!